If you are looking for a professional and reliable way of storage for all your household during removal we can offer you a simple and comfortable way to keep all your personal belongings and house equipment in one place. 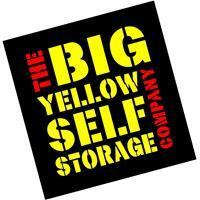 Our warehouse for storage is located in Tunbridge Wells. Kent House Removals offer a large storage capacity to fit all the smaller as well as larger house euipent items including furniture, computers, TV sets, glass sets and other fragile elements, pieces of art, pictures and many others. Our company will offer you not only the place to store your items, but we will also do all the packing, loading and unloading in the warehouse. If you need to have an access to some of your belongings - we can get your container out at any time you need. Just let us now the date and the approximate time you would like to be there.